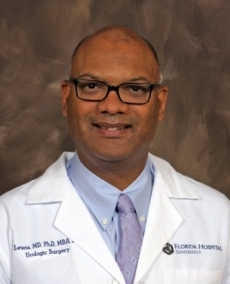 Dr. Lewis received his MD and Ph.D from Johns Hopkins University followed by his internship and residency from Duke University Medical Center. During his residency training, Dr. Lewis cared for veterans as an emergency room physician at the Veterans Administration Medical Center in Asheville, North Carolina. Following his residency training, he served as Assistant Clinical Professor at the Duke University Medical Center. Dr. Lewis brings more than sixteen years of advanced, clinical education and experience to our community. In addition, he possesses a Master’s of Business Administration with a concentration in Health Care Management from St. Leo University, as well as a Master of Science in Engineering from Johns Hopkins University. His interests include horseback riding, playing the piano and baking.